110K will get you 81,481 SQ Kris Flyer Miles once converted – VA points don’t expire, SQ do expire after 3 years so transfer when you are going to travel. There is the usual other benefits you get with the card like spend and earn Velocity points, complimentary insurances for overseas travel and purchase protection. I have been following the application of a college as well as my application to verify that all that is offered is received and in a timely manner. - Colleges application in 28 July 2015 and approved. - Card received 06 August 2015, activated, 1st item charged to the card. - Complimentary domestic flight loaded into Velocity account on American Express system 06 August 2015. - 2 lounge passes loaded and backdated to 28 July 2015 into Velocity account on American Express system and verified on Velocity program. - My application in 08 August 2015 and confirmed 10 August 2015. - Referral bonus loaded into colleges Velocity account on american Express system. - I have now received my card 28 August 2015, with a letter arriving 4 days earlier saying that there was a delay with sending out cards and 10 days have been added to the 3 month minimum spend period. -Amex system seems to us a 4 day period to load passes, flights & points. This has been the case until the most recent applicant which I referred. neither of us have received points allocation at 4 days but have received passes and flights. -I contacted Amex at 5 days to ask what was there system of allocation and all they said is they would check it out and manually force the points allocation. At 7 days and neither account has been adjusted. As the process moves I will edit the page . If you use my referral link please let me know as deals like this get both you and me closer to our next redemption flight. I'd also like to say thanks for the help. The start of the referral link looks like this www316.americanexpress.com The www316 looks weird but this is how American Express generates the link. I was unsure of it's validity at the time and I checked it out to be 100% safe and correct, then I proceeded. Which airline would you think to travel with? China airlines ( CI ) fly between Australia and New Zealand several times a week. 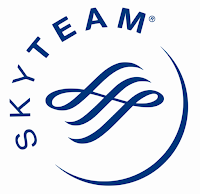 Having flown with China Southern ( CZ ) several times over the past few years and being a member of there frequent flyer program Sky Pearl I accumulated enough KM's to redeem a flight one way between Oz and NZ in Business Class with CI paying the taxes which were just on AUD$100. Getting back : a one-way business class seat Auckland - Brisbane with CI for AUD$382 purchased through the CI website. Love that price!! Cant wait to see what the CI A330 is like to travel on. I have just joined CI's frequent flyer program Dynasty Flyer to see were they might take me next. 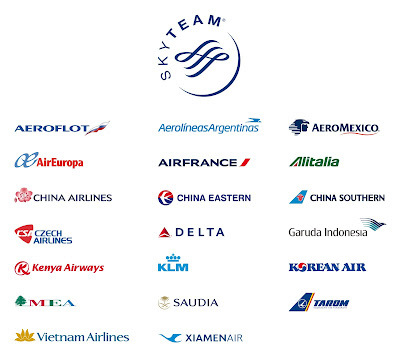 Being a member of SkyTeam it gives you a great list of airlines you could accumulate and then redeem you miles on. If you calculate A$15 per 1,000 points (miles) you receive with a card is greater than the annual fee then it's a goer and deserves a look at.